Keys for Success: Fall Risk Prevention … It’s a Best Practice! 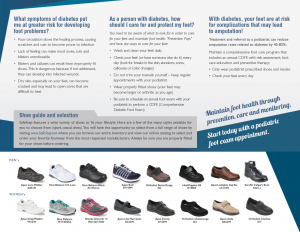 The SafeStep Keys for Success that you’ll see here are based on real examples from podiatrists and can dramatically improve your practice. On an annual basis, it is important to ask every patient 65 years of age and older, if they have fallen in past year. This is a baseline for a fall-risk assessment and is a precautionary measure to help more patients. If patients have not fallen or have fallen once without injury, consider them to be NOT at high risk for falls. If patients have fallen once and been injured or two or more times without injury, consider them to BE at high risk for falls and use SafeStep’s “Functional Fall Risk Assessment Tool” to determine the basis for increased risk. Offering assistive devices including canes and walkers for those at risk. 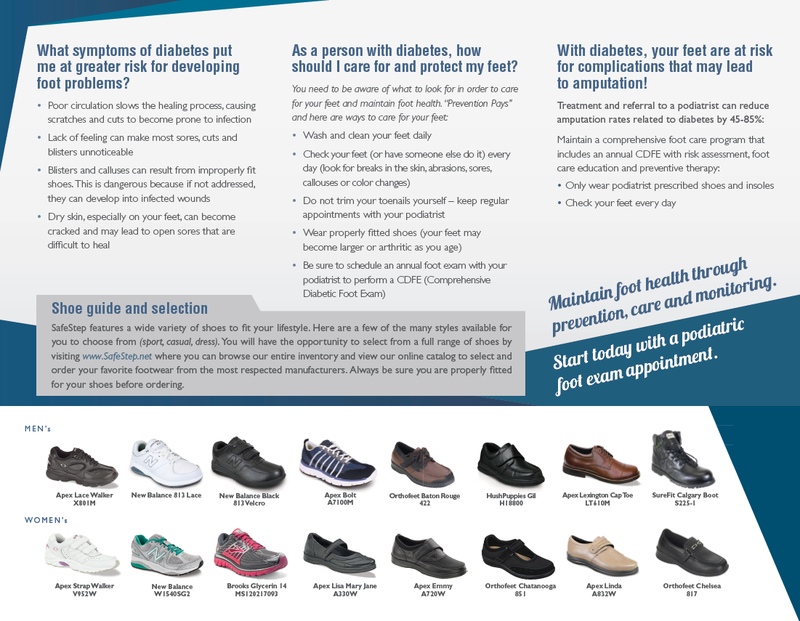 Providing patients guidance about footwear options that will enhance stability. Consideration of foot orthoses that can decrease foot pain and improve support. When appropriate, casting for bilateral Moore Balance Braces. Its appropriate to bill an EM charge when fall risk is determined and a plan of care provided. 1. Read articles in library section of SafeStep website. 2. Register at SafeStep.net for the training webinar: “Fall Risk Management with Moore Balance”. 3. 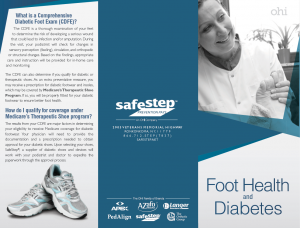 Call for SafeStep at 866.712.STEP for patient information brochures, order forms, free mailing labels and STS casting kit. 4. Review the semi-weightbearing casting technique. Video located in AZ AFO section of SafeStep website, Library section. 5. The SafeStep website features all Medicare required compliance documentation.